Kader Attia (b. 1970, France), grew up in Paris and in Algeria. Preceding his studies at the École Supérieure des Arts Appliqués Duperré and the École Nationale Supérieure des Arts Décoratifs in Paris, and at Escola Massana, Centre d’Art i Disseny in Barcelona, he spent several years in Congo and in South America. The experience with these different cultures, the histories of which over centuries have been characterised by rich trading traditions, colonialism and multi-ethnic societies, has fostered Kader Attia’s intercultural and interdisciplinary approach of research. For many years, he has been exploring the perspective that societies have on their history, especially as regards experiences of deprivation and suppression, violence and loss, and how this affects the evolving of nations and individuals — each of them being connected to collective memory. His socio-cultural research has led Kader Attia to the notion of Repair, a concept he has been developing philosophically in his writings and symbolically in his oeuvre as a visual artist. With the principle of Repair being a constant in nature — thus also in humanity —, any system, social institution or cultural tradition can be considered as an infinite process of Repair, which is closely linked to loss and wounds, to recuperation and re-appropriation. Repair reaches far beyond the subject and connects the individual to gender, philosophy, science, and architecture, and also involves it in evolutionary processes in nature, culture, myth and history. In 2016, Kader Attia founded La Colonie, a space in Paris to share ideas and to provide an agora for vivid discussion. Focussing on decolonialisation not only of peoples but also of knowledge, attitudes and practices, it aspires to de-compartmentalise knowledge by a trans-cultural, trans-disciplinary and trans-generational approach. Driven by the urgency of social and cultural reparations, it aims to reunite which has been shattered, or drift apart. 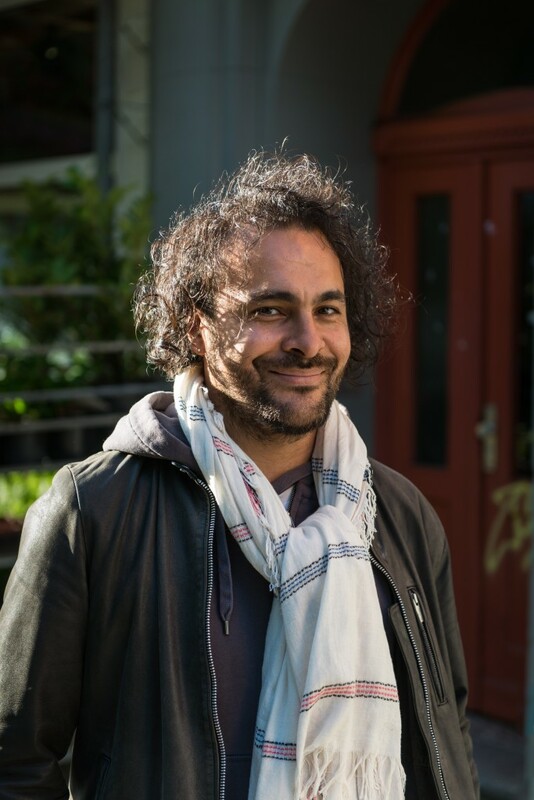 Kader Attia’s work has been shown in group shows and biennials such as the 12th Shanghai Biennial; the 12th Gwangju Biennial; the 12th Manifesta, Palermo; the 57th Venice Biennial; dOCUMENTA(13) in Kassel; Met Breuer, New York; Kunsthalle Wien; MoMA, New York; Tate Modern, London; Centre Pompidou, Paris; or The Solomon R. Guggenheim Museum, New York — just to name a few. Notable solo exhibitions include “The Museum of Emotion”, The Hayward Gallery, London; “Scars Remind Us that Our Past is Real”, Fundacio Joan Miro, Barcelona; “Roots also grow in concrete”, MacVal in Vitry-sur-Seine; „The Field of Emotion“, The Power Plant, Toronto; Museum of Contemporary Art, Sydney; “Repairing the Invisible”, SMAK, Ghent; Museum of Contemporary Art, Sydney; “Sacrifice and Harmony”, Museum für Moderne Kunst, Frankfurt; “The Injuries are Here”, Musée Cantonal des Beaux Arts de Lausanne; “Contre Nature”, Beirut Art Center; “Continuum of Repair: The Light of Jacob’s Ladder”, Whitechapel Gallery, London; and KW Institute for Contemporary Art, Berlin. In 2016, Kader Attia was awarded with the Marcel Duchamp Prize, followed by the Prize of the Miró Foundation, Barcelona, and the Yanghyun Art Prize, Seoul, in 2017.